Melt butter in a small saucepan over medium-low heat. Add broth, lemon juice, cayenne, garlic powder, salt and pepper; mix well. Remove mixture from heat and allow to cool for 10 minutes. 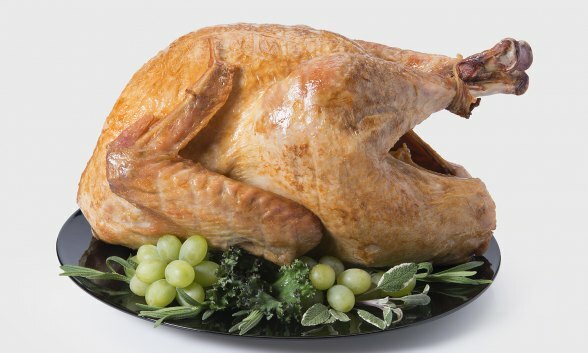 Remove fully thawed turkey from refrigerator. Fill a needle injector with the marinade. Inject about 2 ounces of marinade into each side of the breast and 1 ounce into each leg/thigh for a 15 pound turkey. For best results, insert needle at different angles through the same hole when injecting marinade. Wipe off any marinade that comes out. Do not inject more than 8 ounces of marinade for the entire turkey. Allow turkey to rest for 45 minutes at room temperature.